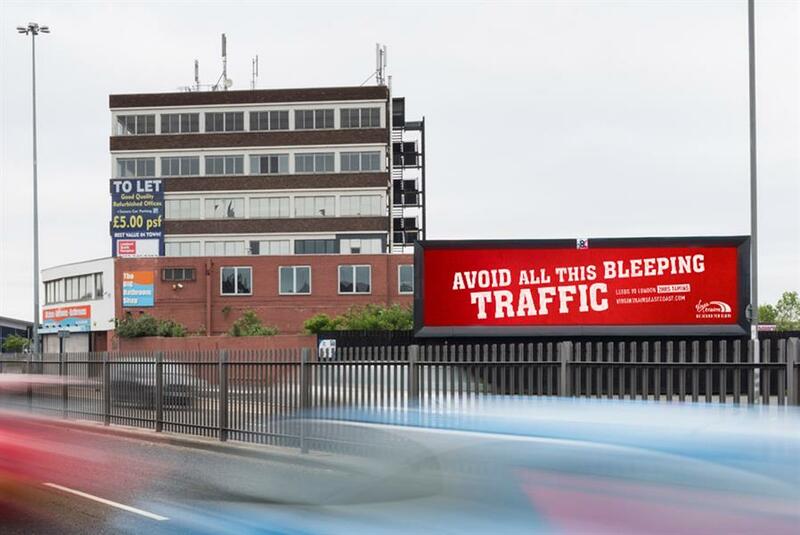 Virgin Trains' data-driven, digital out-of-home campaign is sending out personalised messages to drivers in Newcastle and Leeds. The messages remind drivers they could be enjoying a stress free train journey, instead of dealing with road rage, jams, or anything else the traffic data reports. In Newcastle, Virgin Trains’ new ad will play when certain cars stop at lights and digital screens that broadcast personalised messages such as, "Hey silver Ford driver, stop seeing red. Don’t get cross on the roads. Newcastle to London 3 hours 7 mins". The DOOH campaign is a collaboration between Virgin Trains, Krow, Manning Gottlieb OMD, Talon, Grand Visual, Ocean Outdoor, City Outdoor and 8 Outdoor. Supporting activity spans TV, digital, OOH, print and radio.